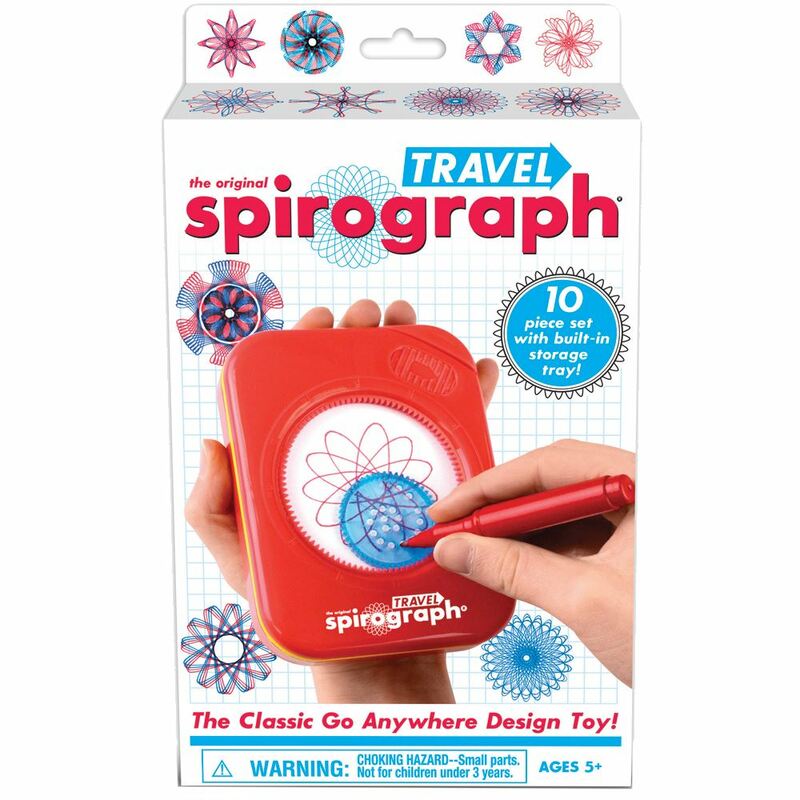 Perfect when you are on-the-go, this Spirograph Travel Set can fit in one hand while you draw with the other! Everything you need to fits into the handy built-in storage tray. Includes: 6 Spirograph precision wheels, 2 Spirograph design pens, a 24 page sticky note design pad and design guide. Age 8+ years. Distributed in New Zealand by Holdson.